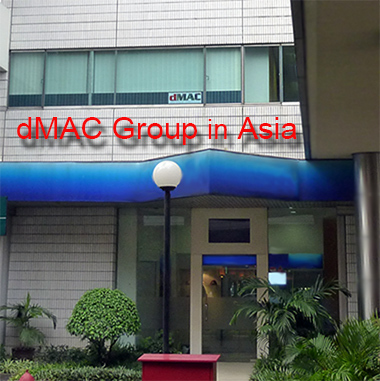 dMAC Group in Asia comprises a number of privately held Indonesian companies. We are a long-term member of the Indonesia Australia Business Council (IABC). PT Daya MACro Dinamika is an Insurance Intermediary Consultant. We specialise in Designed Insurance for Health, Term Life, Professional Indemnity, Personal Accident, Directors & Officers Liability, Workers Compensation, Property, Motor Vehicle, Travel, and other General Insurance products. Shinta DS MacDonald, SE As, Bachelor of Economics (Trisakti Uni); MM, Magister [Latin for 'Master'] of Management (University of Indonesia); MBA (Universite Grenoble Alpes); AAAK; is our Executive Director. For the past 19 years Shinta has led our Marketing team and effected the Design and Development of new products with Indonesian and Joint Venture Insurance companies. Shinta is a former board member of the Indonesia Australia Business Council (IABC). Michaila Shahnez Natasha (Inez) S.Hum (UI), and Ashila Aprilia Fajar (Ashila) S.Hum (UI). Duncan MacDonald, ANZIIF [Australian & New Zealand Institute of Insurance & Finance]; MBA (Bond), is our Technical Advisor. He has worked in Indonesia for 28 years - the last 25 years with dMAC Group in Asia developing Health and other General Insurance products. Duncan spent 9 years with Australian/International law firm Freehill Hollingdale & Page, the last three years as Director of Finance, South East Asia. Previously he worked in London for five years as Director of two UK engineering firms; Doormaster Ltd and Titan Lift Co Ltd, marketing their products in Britain and the Middle East. 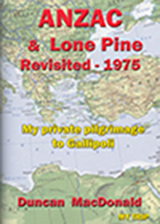 Way back, Duncan was the Accountant for Byrne & Davidson [Mfg] Pty Ltd (B&D Roll-A-Door) in Sydney, for 7 years. Duncan is also our Webmaster and Editor of our free e-magazine, dMAC Digest, containing Health & History related articles. 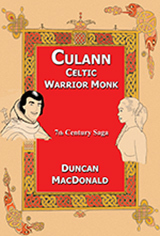 Duncan has also published his Illustrated Historical e-novels set in Britain and Ireland in the 5th~7th century, as well as the Djakarta Journals, tracing the Javanese capital's history over the past 2,000 years, up to Independence in December 1949. Insurance We were retained by certain Lloyd's Underwriters in 1993 to develop suitable Health Insurance products for the South Asian market. Ever since, we have been actively involved in designing and marketing insurance products. An in depth analysis of the best insurance products available in Indonesia. Categories include Health; individual & Group, including Emergency Medical Evacuation, Contractors All Risks, Critical Illness, Travel Insurance, Personal Accident, Surety Bonds, Term Life, Property & Household, and Motor Vehicle. We advise on Professional Indemnity, Directors & Officers Liability Insurance, Workers Compensation, Term Life, Accident & Income Protection. These products offer protection from increasing litigation against professionals and company executives, which puts their personal assets at risk, as well as their professional integrity. Publisher of the free e-magazine containing health & historical articles, relevant mainly to Asia. Items from immediate past editions include; Swine Flu; Tennis & Golf Elbow; Spanish Flu 1918; Malnutrition; Kidney Stones; Asthma; Medical Milestones of the 20th Century; Dengue Fever; Reduce Your Cholesterol; Prostate Cancer; Leprosy or Hansen's Disease; Mosquitos & Malaria; Hangovers- Causes & Cures; The Diponegoro War; A History of Jakarta; Waterloo; Breast is Best; Meningitis; MERS: Djakarta Journal #2; Diabetes Mellitus Type 1 & 2; Breast Cancer; and latest e-Book 'History Behind the Linisfarne Gospels'.